Located in the heart of Kuching, this hotel is within a 10-minute walk of Riverside Shopping Complex and Kuching Waterfront. Chinese History Museum and Tua Pek Kong are also within 5 minutes. A coffee shop/café, a 24-hour front desk, and a computer station are available at this smoke-free hotel. WiFi in public areas is free. Additionally, free newspapers and tour/ticket assistance are onsite. All 135 rooms offer free WiFi, rainfall showerheads, and LCD TVs with satellite channels. Other amenities available to guests include free bottled water, ceiling fans, and showers. The hotel offers a coffee shop/café. A computer station is located on site and wireless Internet access is complimentary. This business-friendly hotel also offers tour/ticket assistance, complimentary newspapers in the lobby, and an elevator (lift). 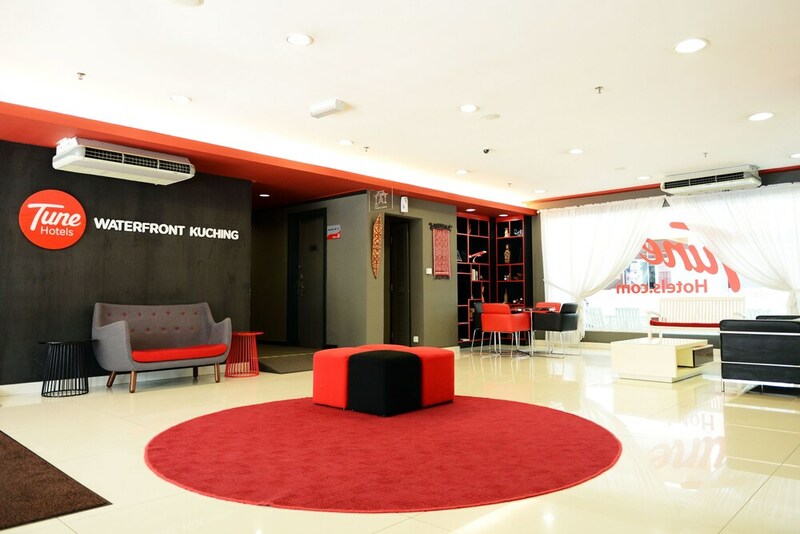 Tune Hotel - Waterfront Kuching is a smoke-free property. Local cuisine breakfasts are available for a surcharge.